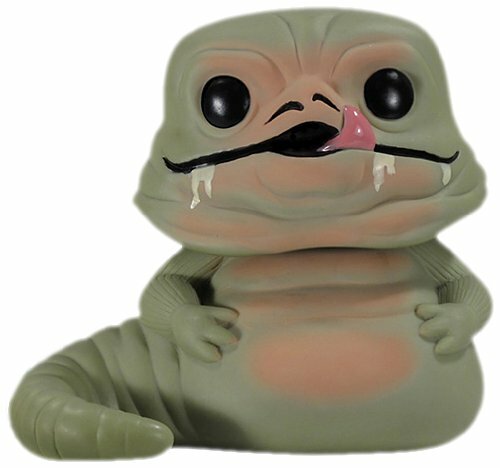 Star Wars Jabba the Hutt Vinyl Bobble Head by Funko 2012Your favorite Hutt crime lord is lovingly recreated with this stylized Star Wars Jabba the Hutt Pop. Vinyl Bobble Head. Standing 3 3/4" tall, this Jabba the Hutt bobble head was inspired by the detailed, urban look of modern vinyl figures. When you see just how cool Jabba looks you'll want to collect the rest in this line of Funko Star Wars vinyl bobble heads.